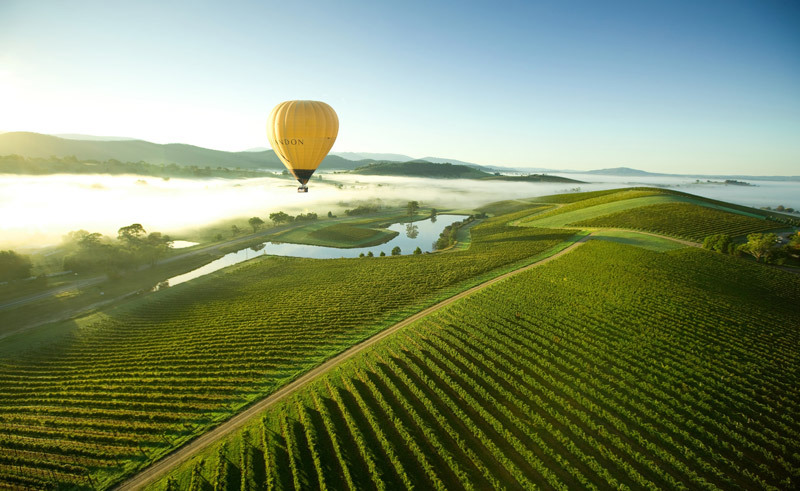 The Yarra Valley in Victoria is one of Australia’s greenest and most picturesque centers. Home to acres of vineyards and emerald green hills which roll towards the horizon, this is an area of Australia that is often overlooked. However, we suggest that you do just that, taking to the skies on this balloon tour in order to ‘overlook’ this verdant land literally. 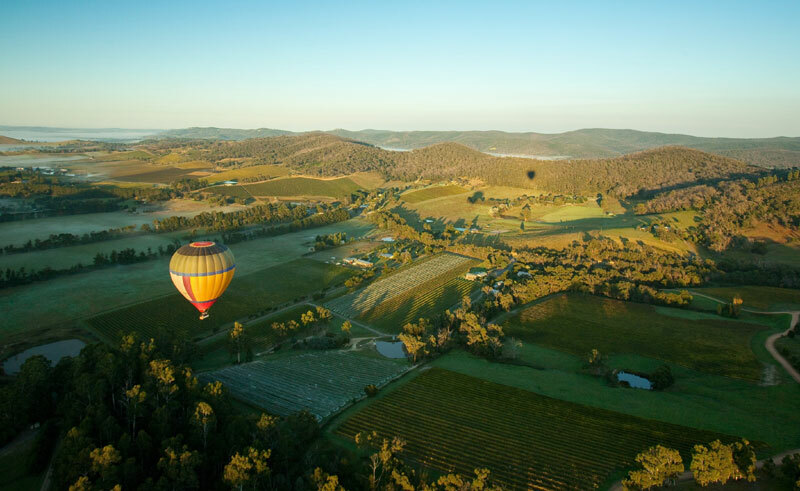 Travelling from Melbourne to the Fergusson Winery, while most are still in bed, you will have a short briefing before making your way to the balloon launch site. Drifting gently over the countryside as the sun rises, tranquil and breathtaking views will greet you as you experience the Yarra. Rising high over the land, there are few better ways to experience the area than from the air. 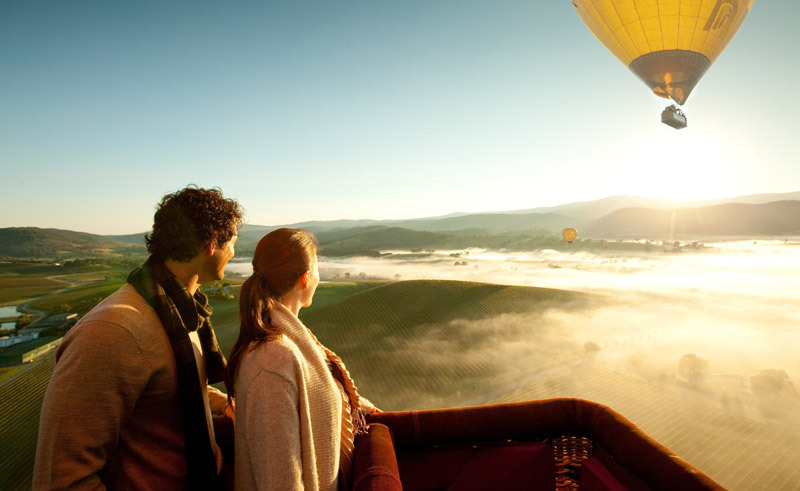 Following your one hour flight you will return to the Fergusson Winery, where a celebratory glass of Chandon will be enjoyed along with a hearty breakfast.